Several issues have come up at City Council meetings lately that will collectively have quite an impact on the future we’re all creating for Encinitas. A number of studies and planning documents dealing with better mobility are currently planned or already underway in Encinitas. But we still could be doing a better, more efficient job making our streets more “complete” — a high priority for several of us on the City Council. Not every street will have bike lanes and sidewalks, and many streets can be improved just by painting a parking lane, which defines the width of a road for drivers and increases safety for pedestrians. The rail corridor and San Elijo/Vulcan Avenue is an area that needs mobility improvement. I strongly support expediting our Rail Corridor Vision study to come up with a plan for the entire rail corridor. Numerous past studies on the rail corridor may exist, but the fact remains that we don’t have a plan for the entire rail corridor that has been vetted by locals. The goal of doing the study would be to establish a citywide Encinitas plan, not just for Cardiff, but downtown Encinitas and Leucadia too. From my perspective, we could either expedite creating this citywide plan so that it helps inform our decisions, or we could take our time, miss the deadlines set by regional agencies and do a visioning plan after we’ve already decided to build one section of the rail trail. This doesn’t make sense to me at all. The city, not outside agencies such as SANDAG or NCTD, needs to take responsibility for establishing the types of bike and walking paths that we want here. The residents of Encinitas should be able to officially weigh in about what we want to see in our rail corridor for the long term. If you’ve been wanting to express your opinion on the rail trail to the City Council, please come to our City Council meeting at 6 p.m. this Wednesday evening, March 30, at City Hall, 505 S. Vulcan Ave., Encinitas. I expect a large crowd. The top photo is a rendering of a proposed trail under a new San Elijo Lagoon highway bridge, courtesy of Caltrans. 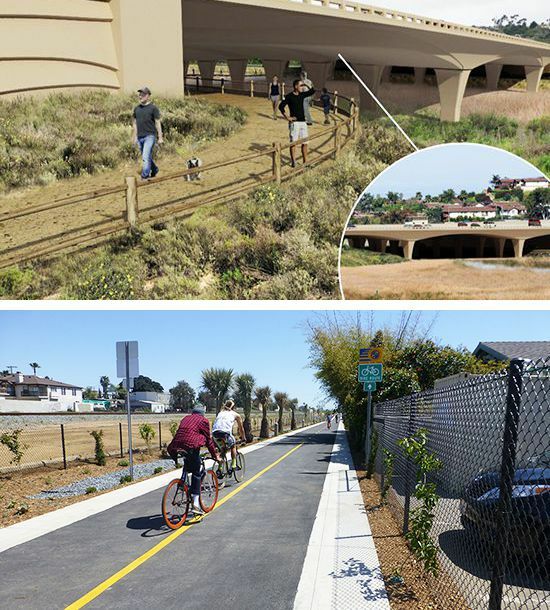 I think this concept more closely reflects the sensibilities that many residents envision for the Encinitas’ trail in the rail corridor, as compared to a 10-foot, straight concrete bicycle highway similar to that shown in the bottom photo. Related to transportation planning, we heard a proposal two weeks ago from what’s called the E3 Cluster (Encinitas Environmental Education Cluster) about traffic calming ideas for Saxony Road and Quail Gardens Drive. 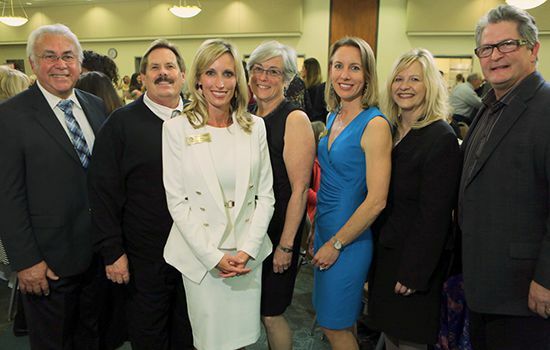 The E3 Cluster is a group of non-profit neighborhood organizations that consist of the Leichtag Foundation, Encinitas Union School District, Ecke YMCA, Seacrest Village, San Dieguito Heritage Museum, and San Diego Botanic Garden. I’m really pleased that the City has finalized a three-year lease for the old Cardiff fire station (see photo above). 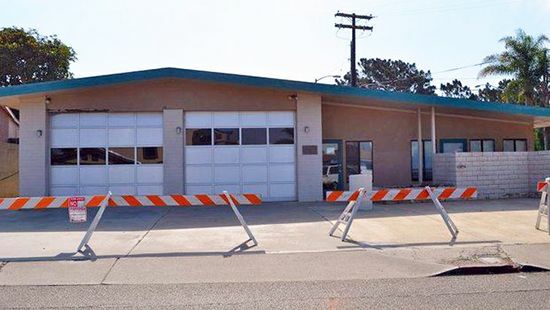 I strongly advocated for the city to keep the former fire station after the new one opened next door in 2013, as an important fiscal savings plan. G.J. Trippe, the tenant, is putting $40,000 into sprucing up the property, and will pay $2,300 monthly in rent for this older and somewhat run-down space, as well as assuming all the expenses and property taxes associated with the property. The tenant is perfect for the space – a non-emergency ambulance service that takes veterans to medical facilities or the airport. Owning real property west of I-5 is a forced savings program for the city and gives us flexibility in the future. It’s so politically and economically difficult for the city to buy property that it’s prudent to keep property we already own, especially when it produces a positive cash flow. I’m grateful to my colleagues for also seeing the wisdom in this strategy. Here’s an Encinitas Advocate article about the lease.